Reliability maintenance plays a central role in the day-to-day operations of large commercial or industrial facilities and organizations. Maintaining large facilities requires having access to huge archives of data at any given moment. But organizing and monitoring that data can be a cumbersome chore for many businesses and organizations. As a maintenance or reliability manager, you can increase productivity and reduce operational costs by partnering with a professional reliability consulting firm. Take control of your operations and discover the benefits of reliability maintenance services. Your business or organization simply cannot make informed decisions without access to often complex system performance data. This includes your system’s assets, operational objectives, maintenance logs, output and productivity, as well asset failure reports and analysis. Making sense of all that data on a daily basis presents large businesses and organizations with a massive challenge. In order to keep productivity at its peak, you need to store all your facility’s data in one location, especially when it comes to overseeing multiple departments and separate facilities. If not, you could be making vital business decisions without looking at all the data; or you can be at a disadvantage if obtaining and making sense of the data becomes a time-consuming chore. A maintenance management system keeps your facilities’ data organized, helping you make informed managerial decisions without a delay in operations. You will have a more nuanced understanding of your facilities, including realistic estimates of your output in both the short and long-term. Now that you have access to your facilities’ data, you can increase your bottom line by using key insights from your performance reports as well as information regarding the lifespan of your assets. With this information, a highly skilled reliability engineer will be able to predict future problems that your facilities might encounter. This helps you, as a maintenance manager, plan for scheduled downtime and maintenance, thus delaying production as little as possible. Without predictive maintenance, the chances of your facilities unexpectedly going off line will significantly increase, thereby inhibiting your business’s or organization’s ability to meet the needs of your consumers. Predictive maintenance also enables your business or organization to make the most of your assets. You can increase the lifespan of your facilities by understanding their limitations. A piece of equipment is bound to encounter some technical complications, but you can increase the overall performance and longevity of your facilities by predicting certain challenges before they become problematic. 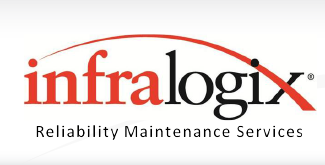 If you’d like to learn more about the benefits of reliability maintenance and engineering, contact the professionals at Infralogix, providing large commercial, industrial, and healthcare facilities with a range of reliability consulting services.